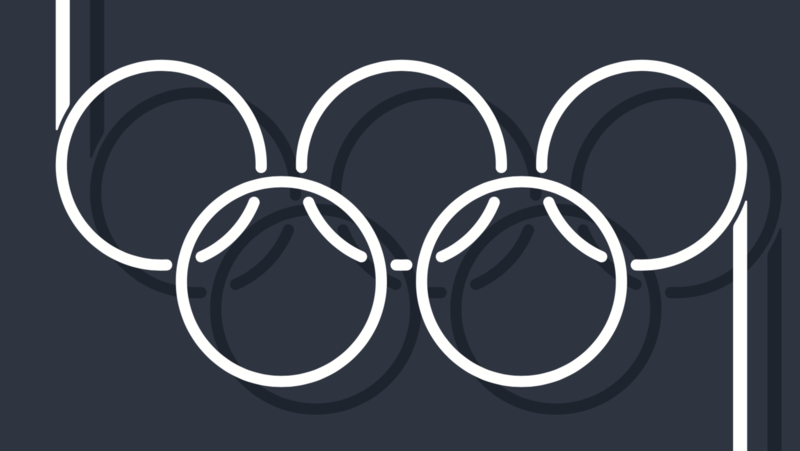 The Olympics has one of the world’s most iconic, enduring brands. Here’s what marketers can learn from the Games about the blueprints for building a successful brand. The Olympic Games offer a compelling example of a world-class, enduring brand that has created meaning. It is hard to imagine a global brand with a more universally understood reputation that has endured for nearly 3,000 years. Destiny answers the question, ‘why do we exist?’ For today’s organizations, this is purpose writ large. It is the ultimate ideal if our dreams are realized. Olympism seeks to create a way of life based on the joy found in effort, the educational value of good example and respect for universal fundamental principles. Since their founding in 776 BC, the Olympics have stood for the very best in society as expressed through athletic competition. Whether victorious or not, Olympians are recognized as the very best of us, and this definition transcends differences in cultures and languages. Olympism has stood the test of time, despite the Ancient Games ending in 393 AD and the ensuing 1,500-year ‘break’. Baron Pierre de Coubertin is credited with reviving the Olympics at Athens in 1896, and he was keenly aware of the importance attached to Olympic ideals and the significant responsibility implied when he said, “Hosting an Olympics means evoking history.” Have the Olympics avoided controversy? No, the Games are not perfect. But as a brand with an historic reputation, it remains clear why they exist. Distinction answers the question, ‘what is unique about us?’ The Olympics now have Summer, Winter and Youth Olympics editions on staggered quadrennial cycles. The sheer diversity of sports within is extraordinary. No other sports event in the world offers such a huge collection of sports, athletes and host city locations. Each host infuses its version of the Games with its own personality to introduce the world to its distinctive traditions. Beyond sport, the Olympics have become a global platform for social and cultural issues, with each interest group having the opportunity to reach a large international audience. The combination of its role as a sport, social and political institution helps reinforce what is truly different about the Olympics. Culture addresses ‘who is involved?’ to help us fulfil our Destiny and reinforce our Distinction. The Olympics are inarguably the most complex mega-sports event in the world. Each Olympiad is a multidimensional mixture of athletes, media, sponsors, and fans, creating a one-of-a-kind cultural alchemy, and more than 206 National Olympic Committees (NOCs) have sent teams to the Games. Qualifying to be an Olympian takes years of effort, overcoming adversity and persevering against the most formidable competitors. Some 11,000 athletes in the Summer Olympics and another 3,000 during the Winter Games compete in a gauntlet of preliminary events to have a chance at the finals. A prior multi-year winning record offers no guarantee of Olympic success. The unrivalled diversity of athletic talent and the visibility of the Olympics creates an unpredictable dynamic that attracts billions of global fans. Media and journalists in the tens of thousands descend on each games, seeking the stories that will capture the public’s imagination. Sponsors integrate their distinctive personalities, associating their brands with the Olympics brand and the fortunes of athletes within. Fans from everywhere bring their passions and hopes into every event, living vicariously through each competitor’s Olympic journeys. Expectations are understandably huge, and the pressures can wreak psychological havoc on the most accomplished athletes. Indeed, the ‘who’ creates the cultural chemistry that animates each Olympics. 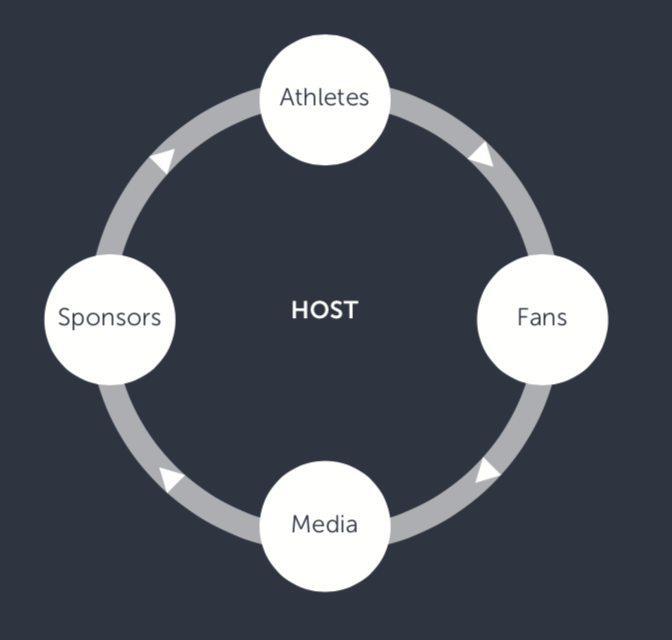 Athletes attract fans; fans attract media; media attracts sponsors; sponsors provide funding to ensure future athletes have the chance to compete; and the hosts share in the entire spectacle and its associated qualities. This creates an unrivalled experience for all stakeholders. Whether live or via televised and digital media, the Olympics provide a breathtaking variety of entertainment, fostering a collective social enthusiasm and disappointment as athletes’ fortunes rise and fall. A dynamic mix of multisensory ingredients energizes each of the events, venues, pavilions and host city attractions. Just as importantly, the pre- and post-Olympics activities are designed to generate and reinforce ongoing enthusiasm and support. The measurable value includes nearly $6 billion in revenue during the recent quadrennial, from which 90% is redistributed to organizations supporting the Olympic Movement around the world, with the remaining 10% covering the operating costs. Sponsors, host cities and media invest in the Games for the innumerable qualities associated with the Olympic halo. Fans watch because of the variety and spirit of friendly competition, hoping their preferred athletes succeed. And athletes aspire to be Olympians, becoming the latest torchbearers in a 3,000-year-old tradition that continues to deliver meaningful value to people and organizations everywhere. — John Davis is regional managing director Asia at Duke Corporate Education.